hello folks, new here. I bought this little Chinese deal for my son last year and have yet to be able to determine what make it is. Can anybody help? What information can you gather from this plate? 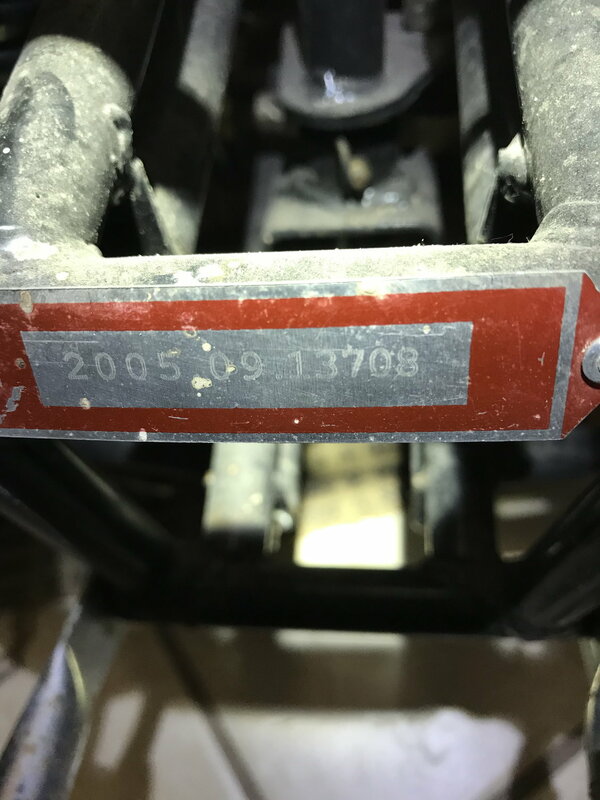 That looks like a date and serial number for the frame. There should be a proper VIN and possibly makers name plate somewhere. Does it matter? 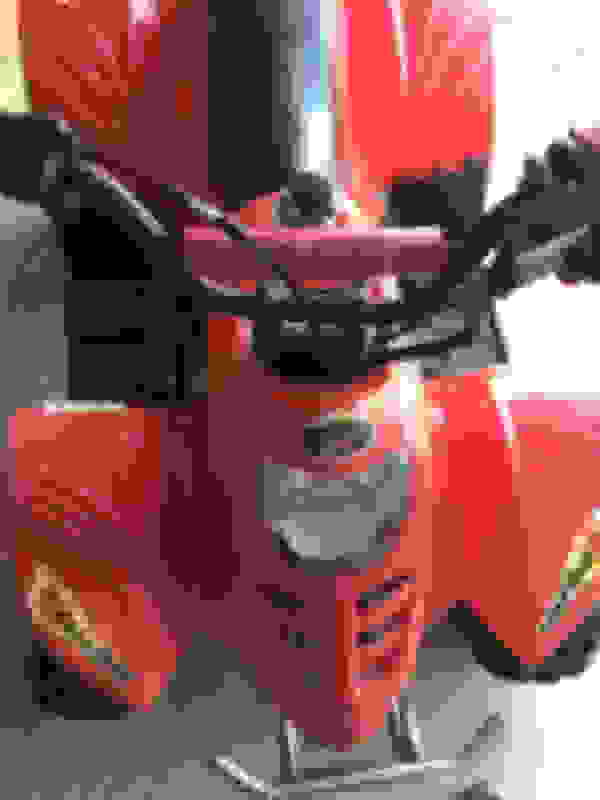 The engine looks like a standard Honda Cub clone, from what you can see on the photo. I haven’t seen any other plates anywhere. I was hoping to find a wiring diagram but maybe y’all will know the answer to my problem. I pushed the start button and nothing happened, I tried the usual stuff, checked battery, checked key etc. next I lifted the seat and noticed a “female” 2 wire connector near the back of the gas tank not connected to anything. I also noticed real close to it another set of wires connected together with the same type of connector. Out of frustration I disconnected the connector and put the “male” end of the previously connected wires into the “female” end of the previously not connected connector. This caused the starter to begin and when it started I unplugged the connector and away we went. So to start the 4 wheeler I have to pull the seat and hold that connector together until it starts. I was hoping to fix it though to again be able to use the start button. Any thoughts? I did not see a vin plate, but did see 48cm3 on the cylinder head. 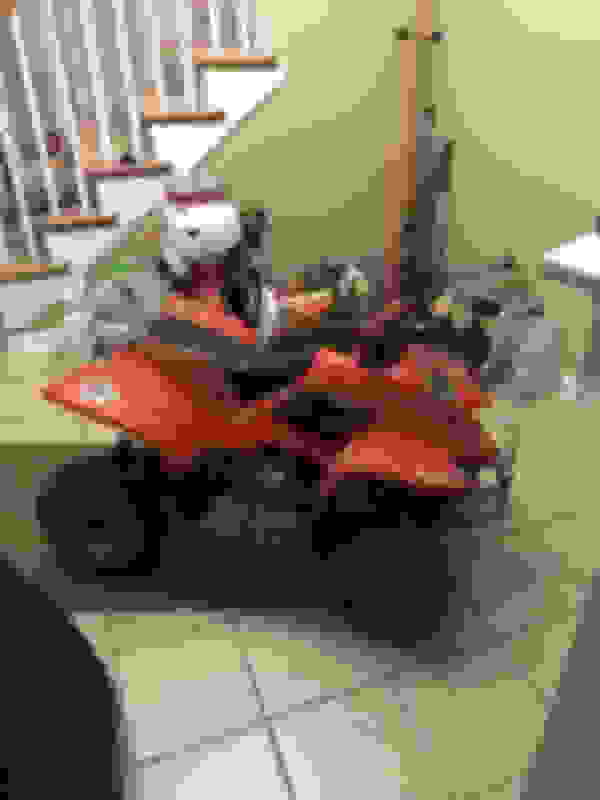 That makes it a 50cc engine. Did it start on the button when you got the bike? If it is a fault that has occurred recently, it will be the button itself, the solenoid, the wiring, or a lockout device not working properly. Lockouts on the brake levers are notoriously unreliable so check that any switches on these levers are working properly. If the start button has never worked properly, who knows what a previous owner has been doing? PLEASE HELP!! Identifying this kid’s quad ?? ?